Much of Ohio is blessed with rich soils thanks to the glaciers that passed through here a few years back. Our 4-season climate also insures we have plenty of water throughout much of the year. On average Ohio gets about 39" of rainfall a year (slightly more than Seattle). Northwest Ohio gets slightly less than that and Southwest Ohio gets slightly more. (see a PDF document showing Ohio's Precipitation Map). What this means is that Ohio has lots of gardens, and in particular public gardens and landscapes where you can relax and enjoy the views. Most communities have public spaces and they are too numerous to mention them all here. 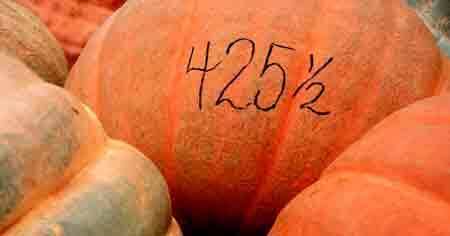 However, there are also numerous major gardens throughout the state. These include arboretums, estate and botanical gardens. Many of these are the results of individual efforts that in time have donated them for the public use. 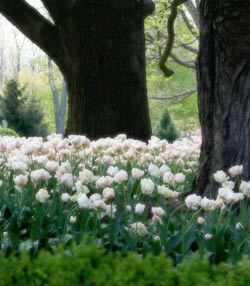 Arboretums are the grand-daddies of the gardening world. Trees take years to reach maturity. 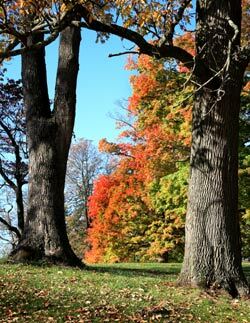 Once established, an arboretum can last for 100s of years. Even if you can't tell the difference between a deciduous and conifer tree, an arboretum is a great place to spend a quite afternoon just walking about and enjoying the splendors of Mother Nature. Long gone are the botanical gardens created by botanists for other botanists. Today, botanical gardens are great places to see Mother Nature up close and there's no law that says you have to read all those Latin names. 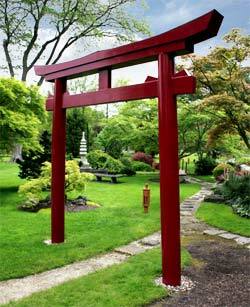 Ohio has a number of botanical gardens. The Toledo Botanical Garden has grown to over 60 acres of specialty gardens, ponds, conference buildings and an artist's village. It has become more than just a garden, but has become a community center. 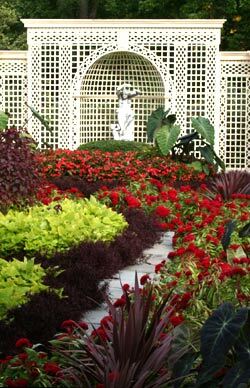 Estate gardens are typically gardens created by owners of a large property and then either donated to the state or to a private foundation that maintains the gardens through funds from the foundation, with donations, and often the untiring work of volunteers. Ohio currently has some 89 sites designated as Nature Preserves. These areas have special rules and in some cases access is restricted. Ohio's Nature Preserves range in size from less than an acre to over 3,000 acres. 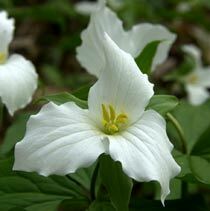 In 1986 the Ohio General Assembly selected the white trillium as the state wild flower. If you see a spread of these beautiful flowers that bloom in the spring, don't pick them. Efforts are underway to preserve these woodland flowers. The three leaves below the flower are the plant's only food source and a picked trillium may die or take many years to recover. The Official Ohio State Flower is the scarlet carnation in honor of President William McKinley.